Students in Hebron, Connecticut have been noticing something strange this winter. Usually this town 25 miles southeast of Hartford is snowy and cold, but this year, temperatures swung wildly from freezing to balmy. Those temperature swings make for what we call a “YoYo” winter. “It snowed on Tuesday and today I don’t need to wear a coat,” Lizee Chanski, an eighth grade student at Rham Middle School in Hebron, wrote on ISeeChange in January. The weather keeps changing. This is annoying to me because sometimes it will be kind of warm and other times it will be cold. And if it rains then it gets very cold out I usually slip and fall so I have to be very cautious. And last is makes me mad that it did not snow because there was some money to be made in the shoveling industry and I did not get to shovel so that means that I did not get money but I slipped and fell and I could have hit my head which is dangerous. National climatologists note that the most obvious trend this winter is rising temperatures across the country. 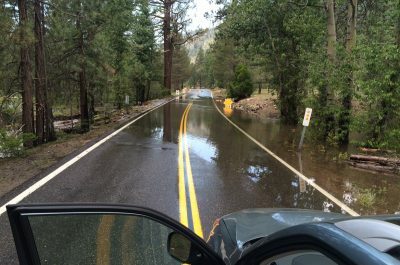 “We’ve had temperatures more like late March‑—even April—occurring in February,” Kevin Trenberth, senior scientist in the Climate Analysis Section of the National Center for Atmospheric Research, said. Trenberth said the cause of such a warm winter lies at the intersection of climate change and weather patterns. Normally, cold winter air comes from what are known as ‘Arctic outbreaks,’ when the jet stream pulls air down from the Arctic across the U.S. But this winter, Trenberth said, the jet stream pattern has been moving more west to east than north to south. 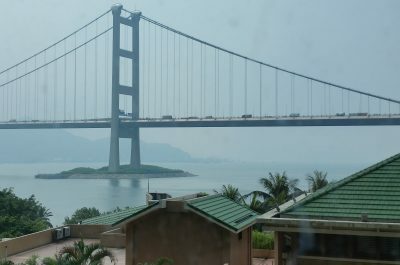 He added that the Pacific air has made the winter particularly warm because of climate change. “The air above the oceans is warmer and moister and that is systematically continuing, and that’s a symptom of global warming,” he said. Ken Kunkel, a scientist at the North Carolina Institute for Climate Studies Studies (NCICS) in Asheville, echoed Trenberth’s assessment and added that the warm winter trend is likely to continue. “Assuming we continue on a path of increasing greenhouse gas concentrations in the atmosphere, winters are almost surely going to get quite a bit warmer,” Kunkel said. Warmer winters have big implications for plants and animals adapted to normal winter climates. Trenberth, for one, worries that the peach trees in his area will bloom too quickly and get damaged by an early freeze. 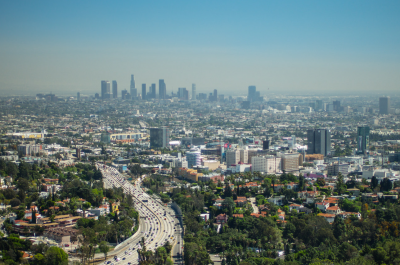 With rising temperatures impacting so much, what does it mean for people and their health? Could a weird winter make us sick? 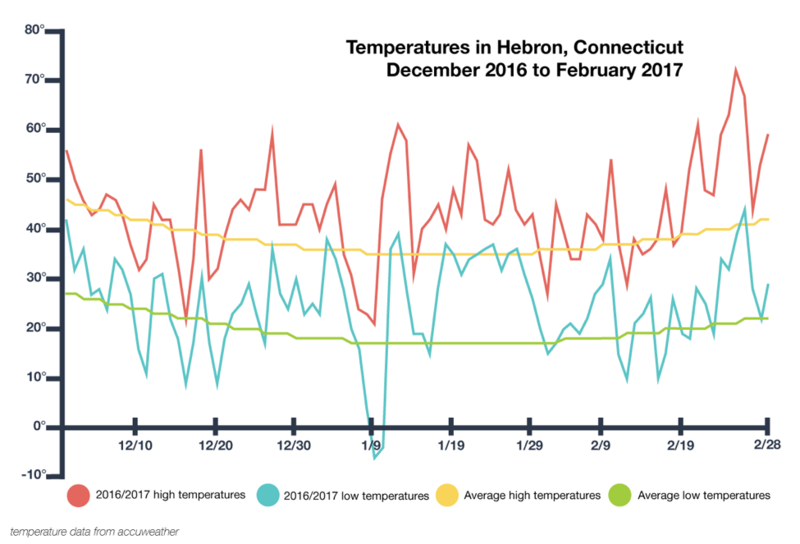 At the Rham Middle School in Hebron, the students’ science teacher, Kristen Byers, has been wondering about a different public health impact from warmer winters: disease. She has seen all kinds of viruses pass through her school this year, and she wants to know: Are abnormal winter temperatures to blame? “I’ve been teaching here ten years and stuff’s gone around but we’ve never had like something like this just take everybody down,” Byers said. Byers says since the beginning of the school year her district has seen everything from big outbreaks of norovirus, rounds of hands, foot, and mouth disease and all kinds of respiratory viruses. She added that they’ve had to disinfect the whole middle school twice , Despite that, she’s used up fourteen sick days and kids are constantly calling in sick. Kristen Byers isn’t the only one who’s been hit by illness this winter. For one thing, this year’s flu season has been particularly intense. Cases are up across the U.S. thanks to the severe strain of the virus that’s circulating this year. Yet the jury’s still out among public health experts about whether widely fluctuating winter temperatures cause disease outbreaks or weaken people’s immune systems. There does, however, seem to be a correlation between weather conditions and specific types of disease. A number of researchers have tackled the temperature and disease question by studying the flu. Through researching the flu in China, Cécile Viboud, director of the Division of International Epidemiology and Population Studies at the Fogarty International Center, found that annual flu epidemics occurred more often in the cold northern parts of the country than warmer southern ones. Could warm winters mean less disease? 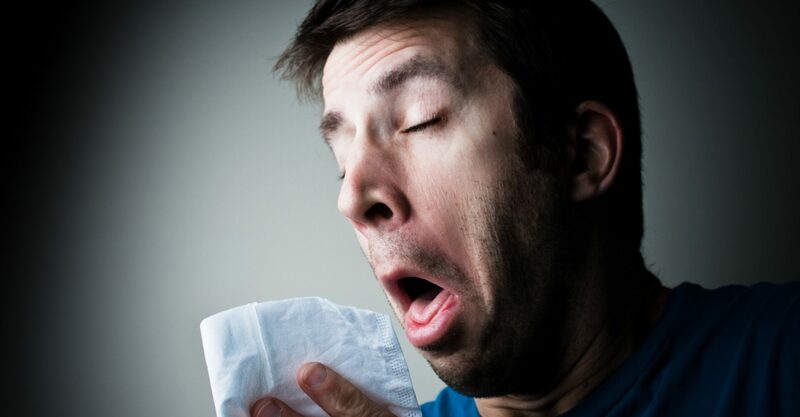 If the flu likes cool, dry weather, then warmer winters could conceivably mean fewer flu cases. But that doesn’t mean warm winters are something for our immune system to celebrate. On the other side of the coin, there’s the possibility that the illnesses we usually associate with the summer will start to creep into the winter months as cold-loving diseases decline. For example, warm winters likely mean a longer allergy season. “Allergists think that we’re going to have an earlier hay fever season, spring allergy season, than normal — simply because everything’s out there and flowering early,” Schaffner said. Schaffner added that as climates continue to warm, there’s likely to be an increased risk of diseases that are passed on by insects —— like West Nile with mosquitos or Lyme Disease from ticks. We’ve been battling ticks in our backyard for almost three weeks. They are crazy for our dogs. We’ve tried everything short of burning the backyard to combat the infestation. We are not in the country. We are in a typical South Miami housing area. For now, it’s hard to predict exactly whether warmer winters will make us more or less sick. But, as Schaffner noted, weather and public health have a very strong relationship, so it seems unlikely that climate change will leave people’s health unchanged. As spring heads our way, we want to know how it’s changing in your neighborhood. Are you seeing changes at school like the students in Hebron, CT? Are your trees budding earlier than usual? Have your allergies started up already? Have you started to see insects that usually arrive later in the spring? Let us know how these changes are changing your daily life. We’re always listening at ISeeChange. Photo courtesy of Allan Foster, January 18, 2009, Creative Commons.